Division, New Order) on the Bass. 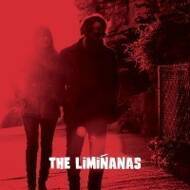 His presence is unmistakable and manages to blend beautifully with the sound of The Limiñanas. Lionel from The Limiñanas: "As soon as we received Peter Hook's tracks, he totally overtook the song and put his mark on it." To support the album, this track will be released on a RSD limited 7'' Edition. It also features an exclusive instrumental track, "Maria's Theme", which appears on this 7'' exclusively.